For over 40 years, our commitment to our clients has earned us our enviable reputation. Since 1978, ElectroMecaniQue has been the leader in the industrial gear and electric motor field for Niagara Peninsula’s industries, farms and more. 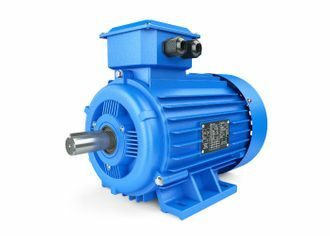 In our shop, we provide brand new electric motors, pumps, fans, controls, gears, industrial supplies and related products. Also, our experienced technicians perform maintenance and repair services to ensure your business is running efficiently and in a continuous manner. From AC inverters to DC controls, gearboxes to purifying equipment, our technicians can repair nearly everything. You can rest assured that we always use top-quality brands. If your item is beyond repair, we can replace it with motors and other related items from our inventory. The quality of our electric motors is the main reason why industries come to us. Located in beautiful downtown Vineland, ElectroMecaniQue is centrally located in the agricultural/industrial Niagara Peninsula. Our prime location, near major linking highways, has allowed us to quickly serve Niagara’s greenhouse builders and growers, wineries, electrical contractors, farmers and homeowners for over 40 years! From cleaning supplies to workstations and machinery, we’ll fulfill all your needs. Originally established as Gary’s Electric Motor Shop, ElectroMecaniQue was renamed to its current name 7 years after the company changed hands in 2000. From the start, we’ve continued to build a reputation of honesty, affordability and high-quality service. We’re always pleased to serve you and stand by our products as well as our work. Come in and see why! Since our establishment, quality has been and remains of the utmost importance.